Is there really such a thing as the perfect credit card? That is debatable, it may be that even the likes of Bill Gates feel the need to complain once in a while about the interest rates on his plutonium credit cards or difficulties with cashing in rewards. There are however near perfect credit cards for people at every end of the credit score scale from no credit or very damaged credit all the way up to credit cards for those with excellent credit, who understandably have a great many more credit cards to choose from! If you have no credit, or your credit profile is very damages d the only real alternative open to you to begin building a credit profile that is better is to get a secured credit card,. Not all secured credit cards are created equal though. Some secured credit cards require a very large security deposit while others come with high interest rates and lots of extra annual fees and processing fees that eat away at the actual amount of credit you have available to you, something that can reduce the value of having the credit card in the first place in the eyes of the credit bureaus that you need to impress in order to build your credit rating. So what would make a perfect secured credit card? Probably one that did not require a huge security deposit, one that offered a credit line that exceeded your initial deposit amount and one that had a reasonable annual fee and a decent interest rate. 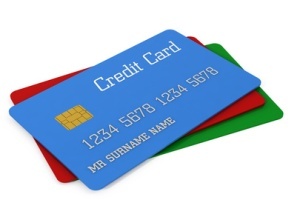 One card that meets those requirements for the most part is the capital one Secured MasterCard. The security deposit you will be required to make will be either $29, $49 or $200 depending on factors like any existing credit score you may have as well as your verifiable income. Whatever the required security deposit you are asked for your credit limit will be at least $200, sometimes more. There is an annual fee attached to the card but it is a very reasonable $29 for everyone and the 22.9% APR is lower than the interest rate on many other secured credit cards. Your account is subject to credit limit increases if you pay your bills in a timely and responsible manner and if you can maintain a good relationship with capital One your chances of eventually being approved for an unsecured Capital one credit card easily are significantly increased. Student credit cards have come in for a lot of criticism over the past few years as many people felt that credit was being made available to students too messily and that too many of them were plunging themselves in credit card debt that was going to be difficult to get out from under. In response to those criticisms the rules and regulations that govern student credit cards have been tightened up and some of the bigger banks have stopped offering student credit cards altogether. The perfect student credit card might be one that builds credit while letting cardholders earn rewards not only for their purchases but for their good financial habits and even good grades in school, and that is exactly what the Citi mtvU card provides. The Citi mtvU student card has a very low 13.24% APR but that does not come into effect until a 6 month 0% APR period has expired. There is no annual fee and most students enrolled in US colleges and universities can qualify for the card. Good bill pay habits – that is paying your credit card bill on time every month and staying under your limit – are rewarded with 25 bonus points a month for every month that good record is maintained. In addition students can send in a copy of their transcript every semester and be rewarded with bonuses from 200 to 2,000 points depending on how good their grades are. When using the card all purchases are rewarded with at least 1 point for every dollar spent purchases made on movies, music, video games, books or at restaurants are rewarded at a rate of 5 points per dollar. Rewards can be redeemed for concert tickets, music, movies and for various gift certificates. If you have worked hard to build your credit rating into one that is considered excellent then all of the credit card lenders are usually very keen to pitch their credit cards to you and you will find that you have an awful lot of credit cards of many different kinds to choose from. Which of them constitutes the perfect credit card for you is by no means cut and dried because it will depend very much upon the benefits you want from a credit card. If you have excellent credit you are obviously used to paying off your balances, staying within youth credit limits and making on time payments every time. Therefore one of the better American Express cards may be perfect for you. The very prestigious American Express Platinum card is a traditional charge card (ie you have to pay the balance in full every month) but the perks that come with just having an American Express Platinum card are tremendous. If you like to travel the card allows you to enter VIP airport lounges all over the world and special benefits, perks and room upgrades at major hotel chains. Card purchases earn air miles which can be redeemed for travel anywhere in the world or for very high end gifts from select retailers. American Express platinum card holders also have 24/7 access to a concierge center where representatives can assist them with everything from making a dinner reservation anywhere in the world to purchasing exclusive concert and sporting event tickets to arranging for a contractor to come to your home to make repairs or improvements. There are indeed a lot of credit cards out there for those with excellent credit but ig you want a card that rewards your perfect credit history with some very exclusive perks and services then the American Express Platinum card is still hard to beat.